The Phantom of the Opera comes to The Lion City to have a total of 24 performances for those who eager to watch this most successful and popular musical in the whole world. The Really Useful Group is the producer of the musical’s staging in Singapore. Producer Kerry Comerford said that it is a remarkably unique musical for many reasons. Over the years, this legendary musical has been praised enthusiastically and publicly. At present, The Phantom of the Opera remains eminent beyond comparison to other musicals of its sort. The musical has enjoyed worldwide success throughout the Asia-Pacific region. In 2007, it has experienced a sold-out season in Shanghai, Seoul, and in Singapore as well. This year, the stellar cast and the production team are confident that the audiences will have a warm welcome to the return of this well-known musical. This longest-running show on Broadway is set to have its first performance in the country on 24 July and its last on 11 August. This one is for a strictly limited season in the country. All performances will be staged in Grand Theatre, Marina Bay Sands. Excluding booking fee, ticket prices are as follows: VIP (inclusive of drink and programme)-S$230, A Reserve- S$165, B Reserve- S$145, C Reserve- S$125, D Reserve- S$95, E Reserve- S$55, VIP Box (good for four)- S$920. You can book your ticket in advance so you won’t miss on this spectacular production. 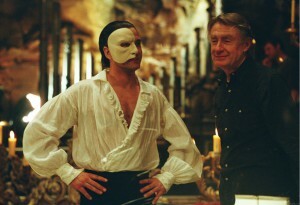 As per record, The Phantom of the Opera has been performed in more than 27 countries, grossing more than US$5.6 billion.